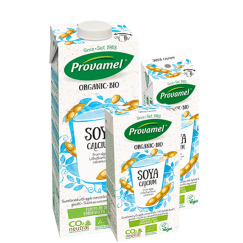 Fancy something a bit different in your Soya Drink? Well we've got just the thing. As refreshing as it is delicious, our Soya With Vanilla Drink has a twist of organic bourbon vanilla extract. Word of warning: it's pretty addictive. Better buy two instead of one!